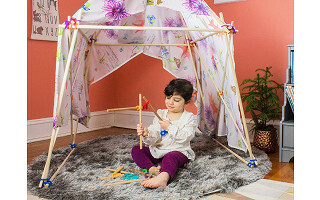 Stick-lets are a building toy for kids that brings a new dimension to playing with sticks—and encourages budding builders to spend more time outside, too. 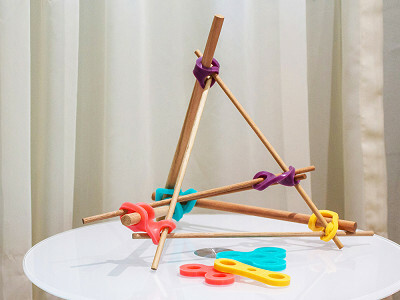 The flexible and durable silicone connectors lend a bendy hand during fort building missions, shape-making sessions, or any kind of playing-with-sticks games kids come up with. Maker Christina Kazakia created Stick-lets after reminiscing with childhood friends. She realized all their favorite memories happened while playing outside. 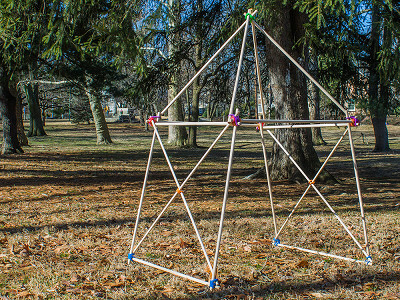 Christina decided to make a tool to encourage kids to explore the great outdoors and extend those playtime possibilities. And, at the same time, the simple silicone shapes help spark kids' developing problem solving and creative thinking skills, too. Kids of all ages—not just for little humans. 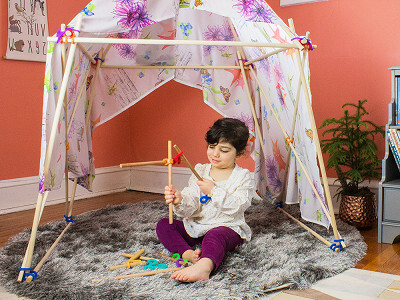 They are for people who love the great outdoors and/or love to stretch their imagination through open-ended construction. We recommend diameters between 0.38” and 1.25” (10 mm - 32 mm). Yes, Stick-lets are made from 100% silicone, which means that they are non-reactive, stable, and resistant to extreme environments while still maintaining their useful properties. They also maintain their original tear strength after multiple uses. Please do not leave these behind in the forest. We made them brightly colored so you can find them. What kind of connections can be made with the Stick-Lets? 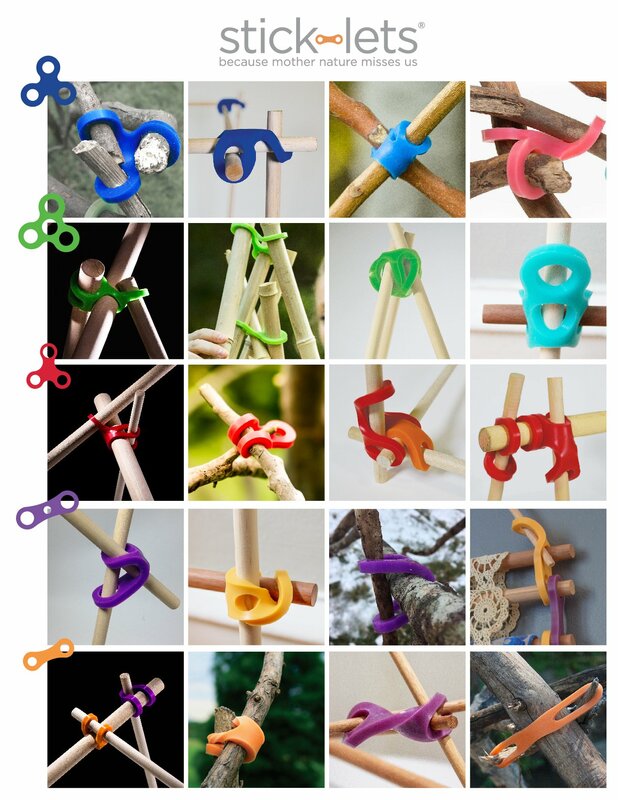 Stick-lets encourage everyone to experiment with the different connectors and explore what they can make. Here is a visual guide of some the different types of connections that can be made.